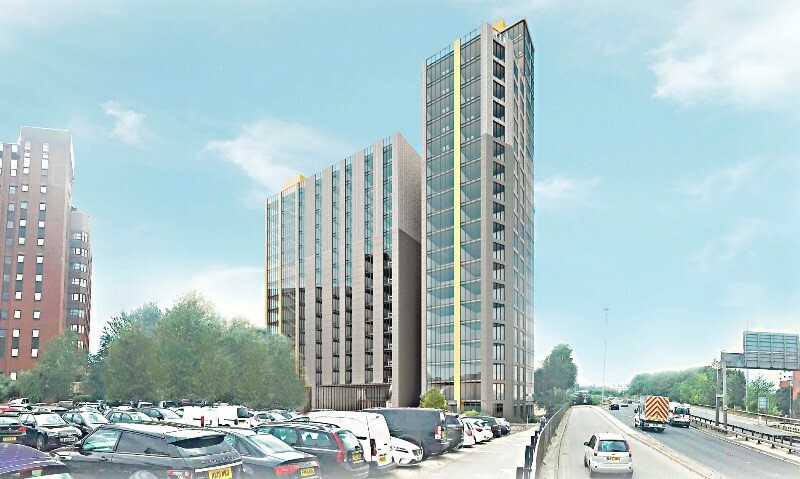 Based at Lisbon Square in Leeds, the project is a £30m development to create co-living and co-working space for a thriving community and it’s a fantastic opportunity for SLR to demonstrate our Built Environment expertise. The proposal is being led by SLR Technical Director, Rob Crolla, who will be Planner and Project Manager on the project. SoCity has been set up to deliver a new city-centre living product in several regional cities across the UK, with Leeds being the first. The Leeds development comprises a 23 storey apartment block providing 1, 2 and 3 bed apartments for co-living rental together with 24-hour concierge and security, weekly cleaning and linen services, co-working hubs, communal coffee and social areas and state of the art gym and cinema facilities. SLR has a multi-disciplinary role on the project, carrying out the delivery of a robust planning consent through built environment planning; alongside other technical disciplines such as Air Quality, Transport, Ecology, Ground Conditions, Wind Modelling, Flood Risk, Noise, Heritage and Sustainability. We were introduced to the client through our role on another site in Leeds City Centre, but key to winning the project was our ability to demonstrate a true multi-disciplinary approach and comprehensive project management capability, all via one point of contact. We look forward to working with PPG and Aspect Architecture on this exciting project.